Cris Cohen launches the “Cris Recruits A Company” website. June 8, 2011 (Cary, NC) – Until recently, Cris Cohen of Cary was well ensconced in the tech world, under contract with Cisco Systems. But like millions of Americans, he recently found himself on the receiving end of the dreaded pink slip. His position with Cisco was phased out. Convinced that there had to be a better way to find a new position than mailing resumes all over town, he decided to turn the tables and launch the “Cris Recruits A Company” website at http://crisrecruitsacompany.weebly.com. “I thought what she did was really great and really different. So I set about building my own version and here we are,” Cohen says. While Cohen’s new website offers serious information about his credentials and work experience – in communications, sales operations and project management – it also allows another one of his assets to shine through: his sense of humor. Cohen is the author of the humor blog “Nothing In Particular” and an upcoming humor book entitled Staying Crazy To Keep From Going Insane. Cris Recruits A Company includes an “About You” page, describing his ideal employer, and an “About Me” page that goes into more personal details than the main “resume” page, such as links to his blogs, speaking engagements, and personality attributes. “While I take my work seriously, I almost never take myself seriously,” Cohen says. In one of the most competitive job markets in decades, “people must be creative and stretch beyond the usual advice about resumes, dress, handshakes and smiles,” the Chicago Tribune reported recently. Cris Cohen’s method is nothing if not creative. To see Cohen’s new website, go to http://crisrecruitsacompany.weebly.com/. A California native and former newspaper columnist, Cris Cohen and his family moved to Cary, NC, in 2008. He is experienced in Communications, Sales Operations, Project Management, and Certifications Security Enforcement. He writes a humor blog called “Nothing In Particular” and is publishing a humor book in September called Staying Crazy To Keep From Going Insane. Proceeds from the book’s sales will go to a local baseball league for kids with special needs. He is currently doing speaking engagements to promote the book. 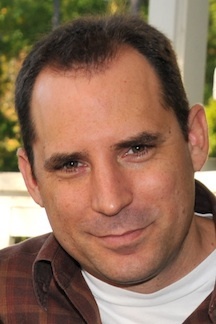 Cohen also writes a humor column for the online newspaper the CaryCitizen.com.